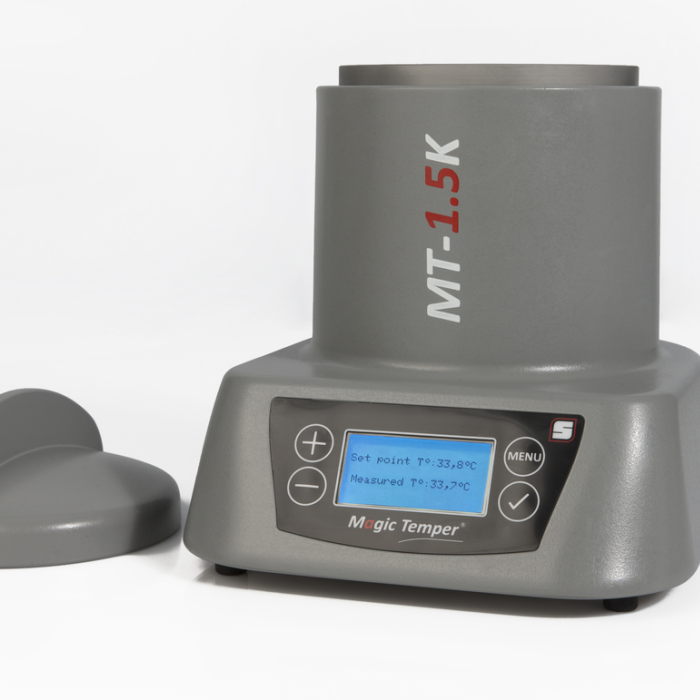 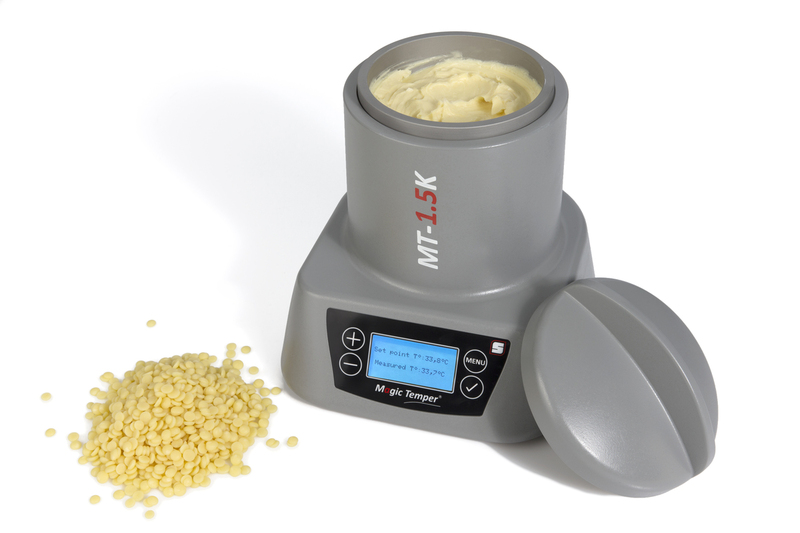 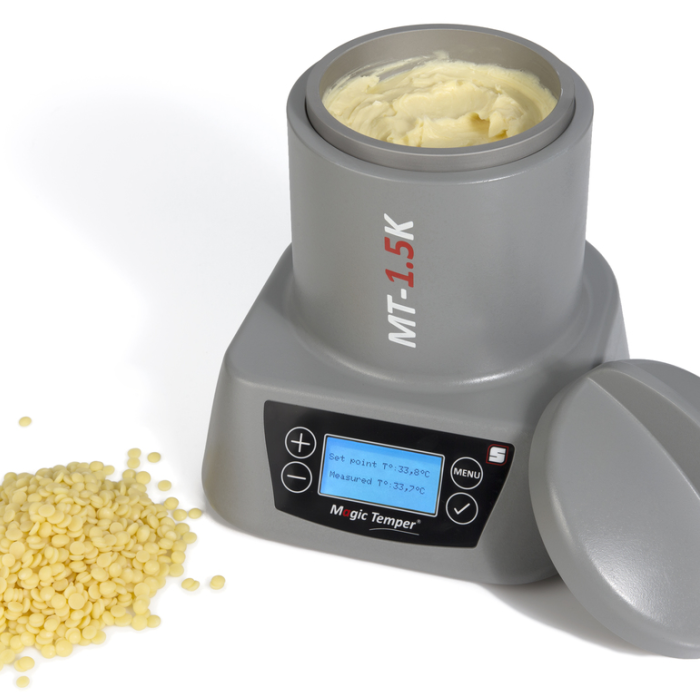 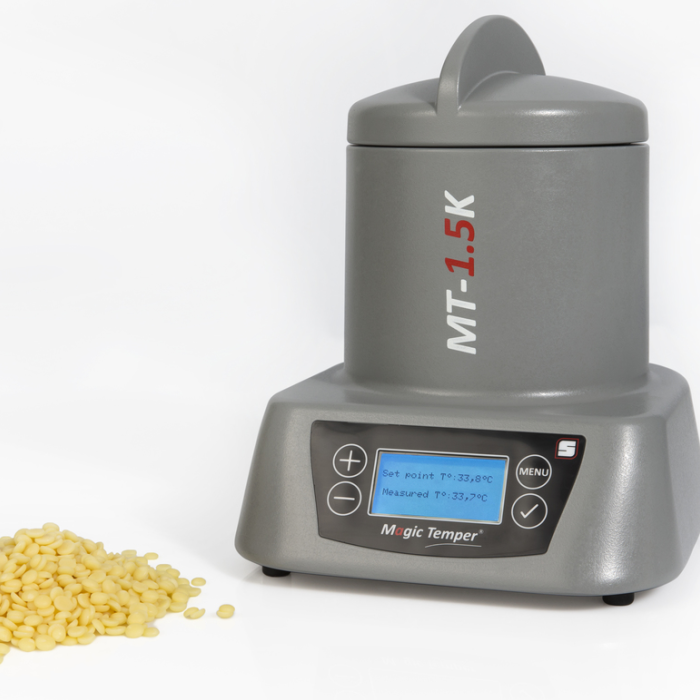 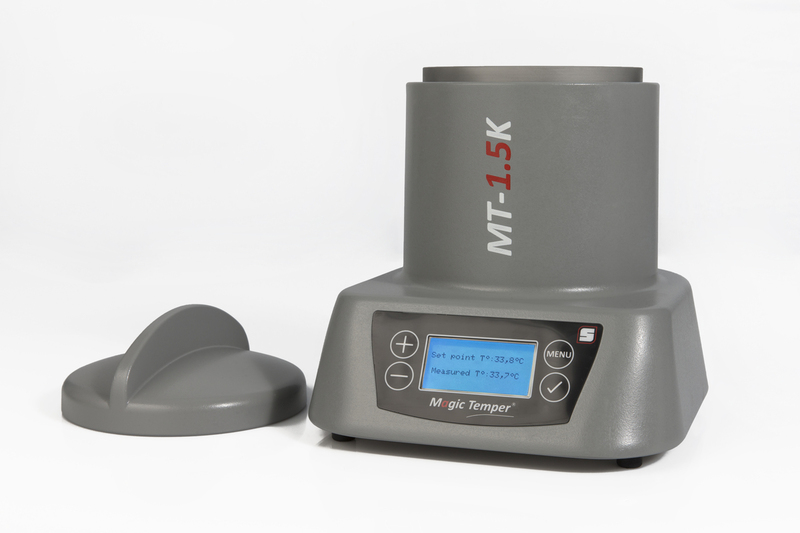 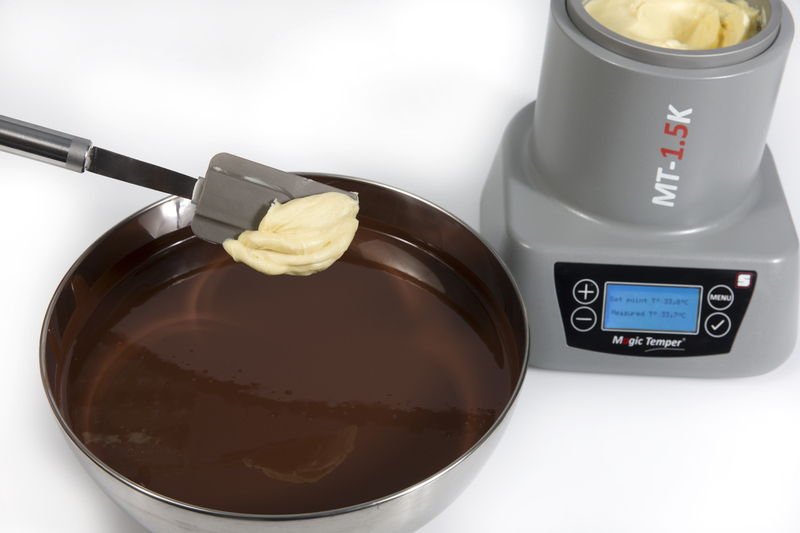 The MAGIC TEMPER MT-1.5K (1,5kg) tempers easily by seeding chocolate masses, coatings, glazing pralines, ganache and fillings. 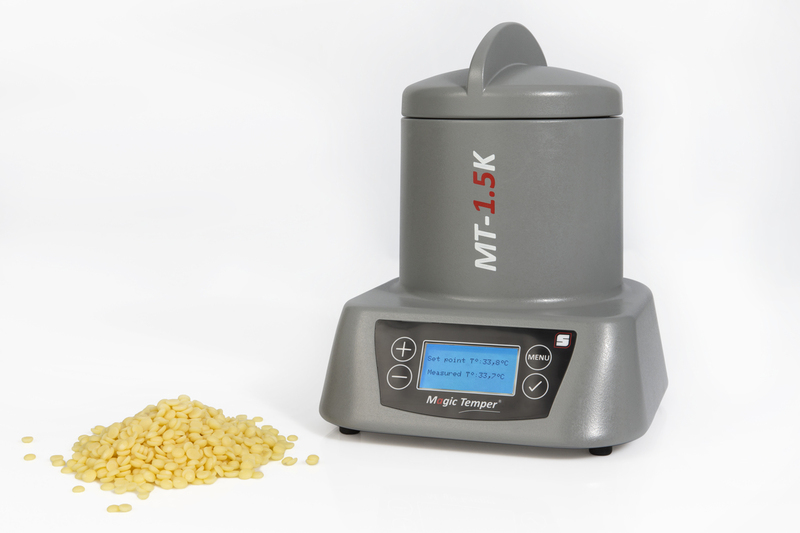 The device is used for the empering of batches with a daily output from 150 Kg to 300 kg. 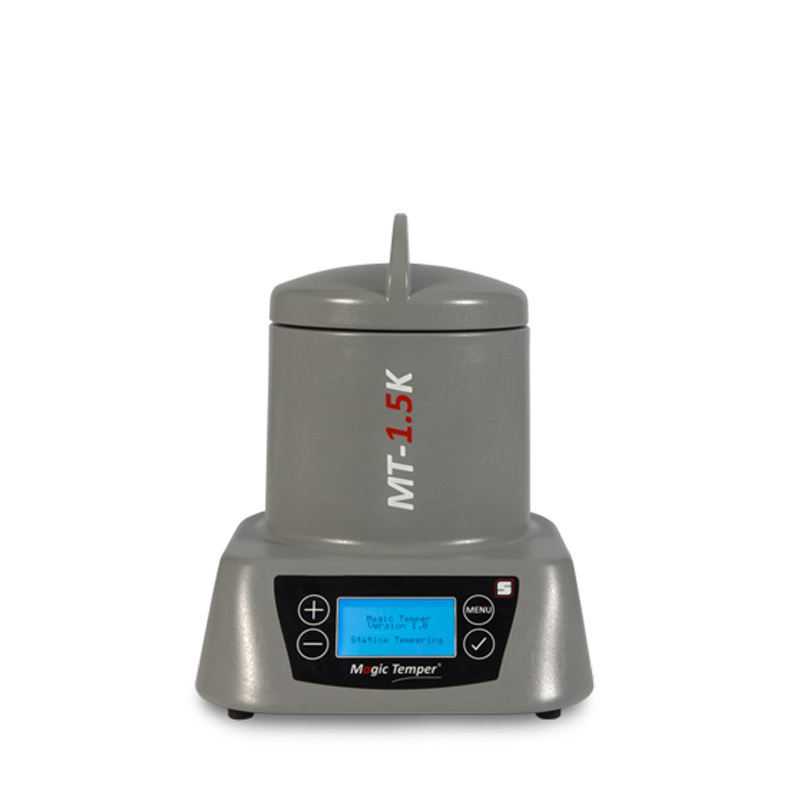 It is designed for chocolate makers and R&D centers in industry. 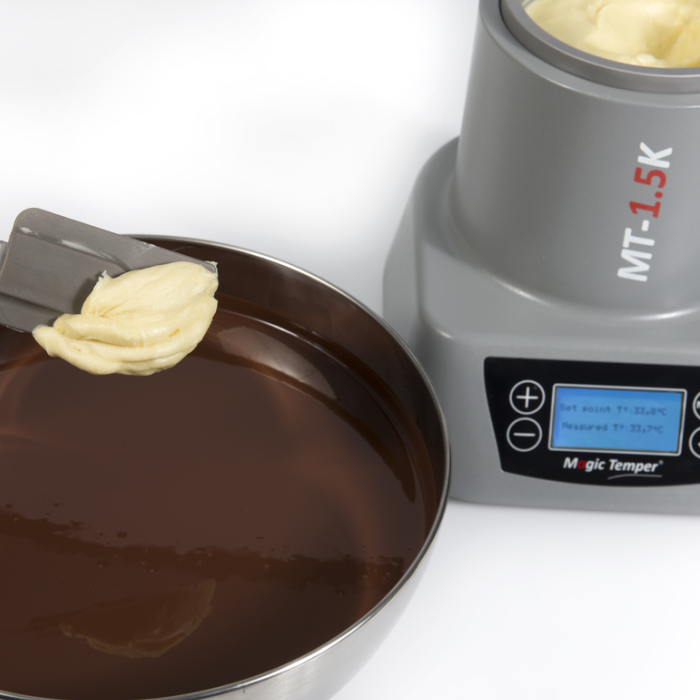 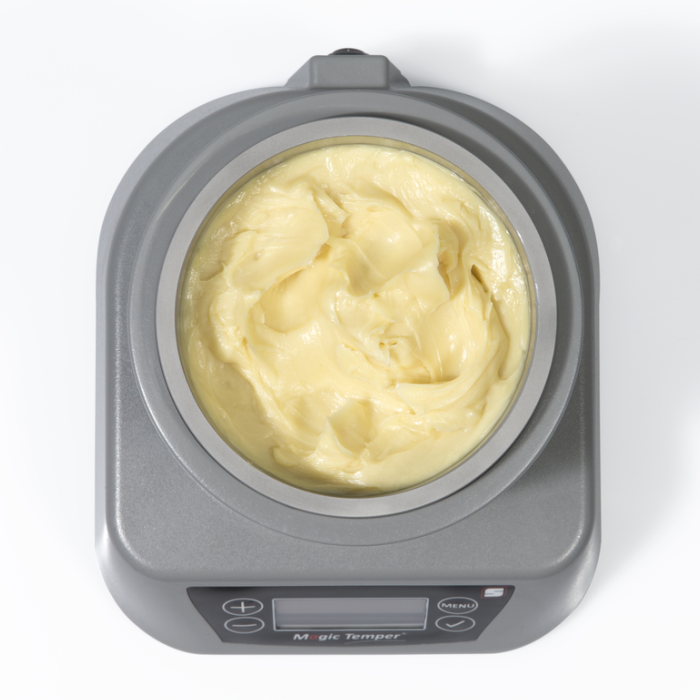 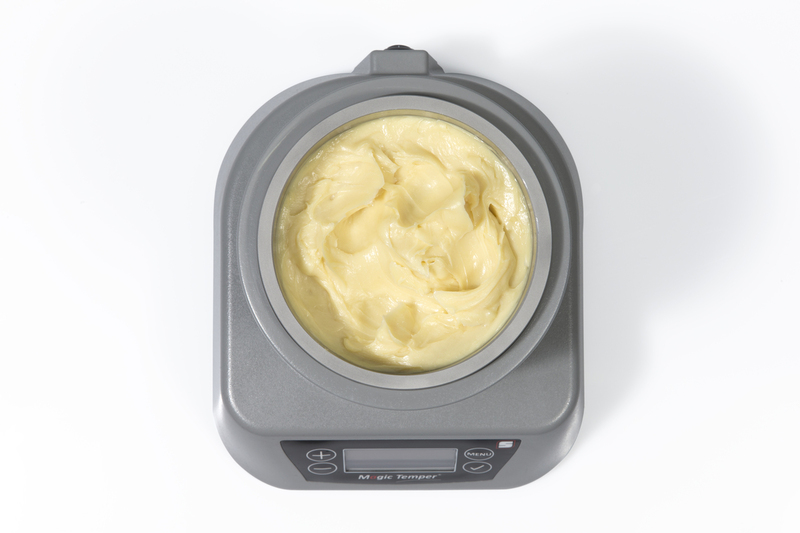 With the MAGIC TEMPER MT-1.5K, tempering is quick and 100% safe.